Tasted ex-chateau and single blind in Southwold. I have criticized recent vintages over the alcohol levels, but I have no agenda against what is after all, one of the first properties I ever visited. And the 2008 is turning out to be a little beauty. It has a lovely floral bouquet with vibrant red fruit, cassis and violets that soar from the glass. It displays deftly integrated oak with Asian spices beginning to come through. 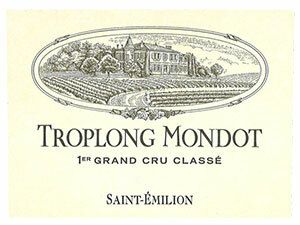 The palate is full-bodied and tannic, very grippy with spice, black olive and blackberry. There is some fine, earthy Cabernet Franc here and shows good structure on the finish. It deserves a decade in the cellar. Tasted January 2012.